By George, I think you got it! The love for me, of course! 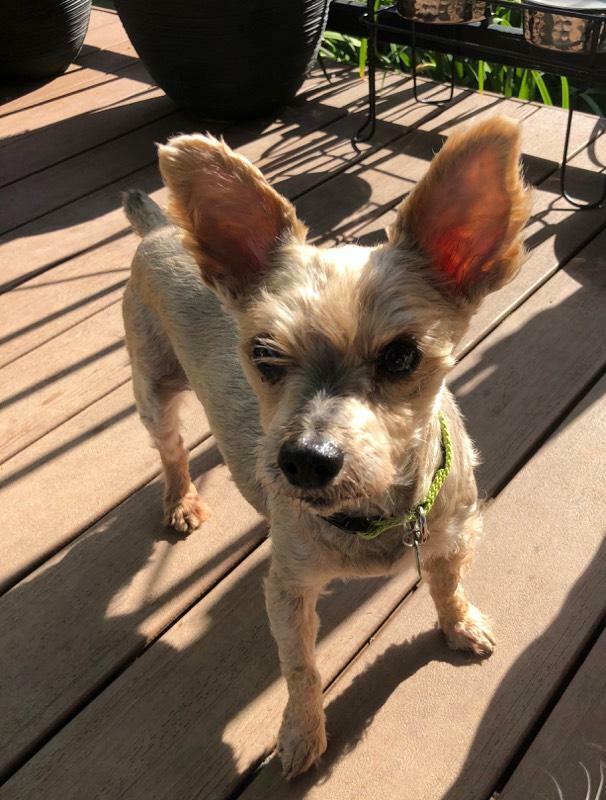 My name is George and I am an adorable 12 year old Silky Terrier mix weighing in at 13lbs. I was found by my friends in Clackamas county in pretty rough shape but everyone’s help, I was able to get back into shape, while looking and feeling great! 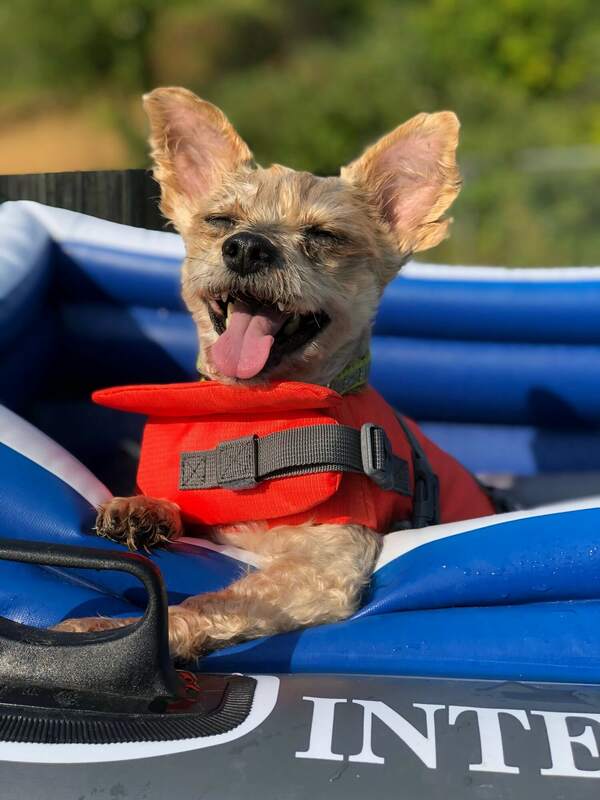 I am a pretty easy going guy who loves to just max and relax in the warm summer sun. Each day, my foster says I am coming out of my shell and getting more spunky and playful. I don’t mind the other mellow dogs or cats at her place, and would enjoy being around older kids over 12. My foster mom even says I am in love my crate and she hasn’t really heard me ever make a peep! I’m down for a little walk around the block or hanging out in the yard, but then it’s back to cuddling and napping. 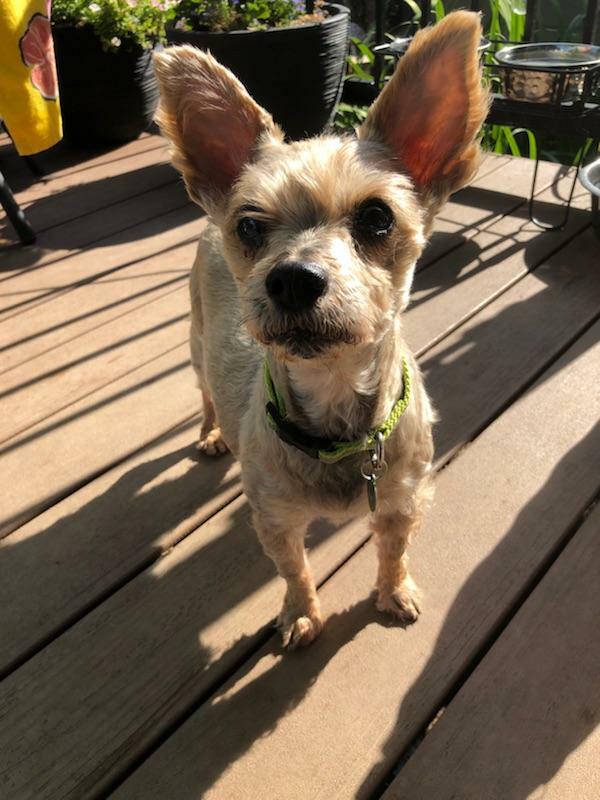 Overall, I am just an adorable super chill guy who is ready to relax with you today! Fill out an application, so we can meet! I come to you vaccinated, micro-chipped, and neutered with an up to date dental and an adoption fee of $350.